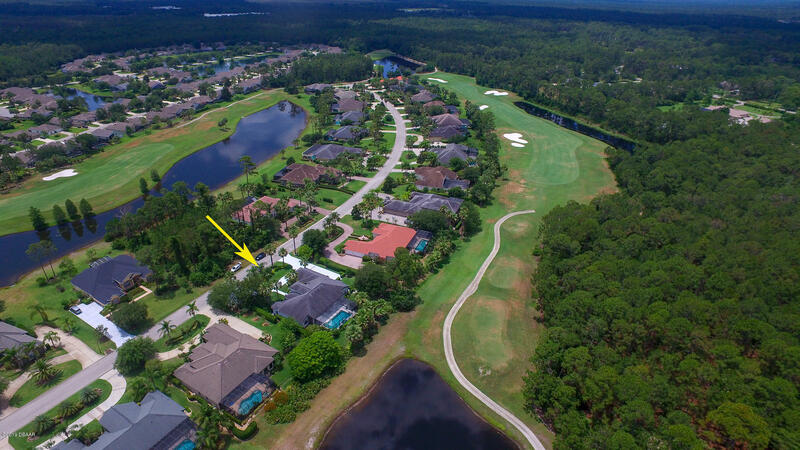 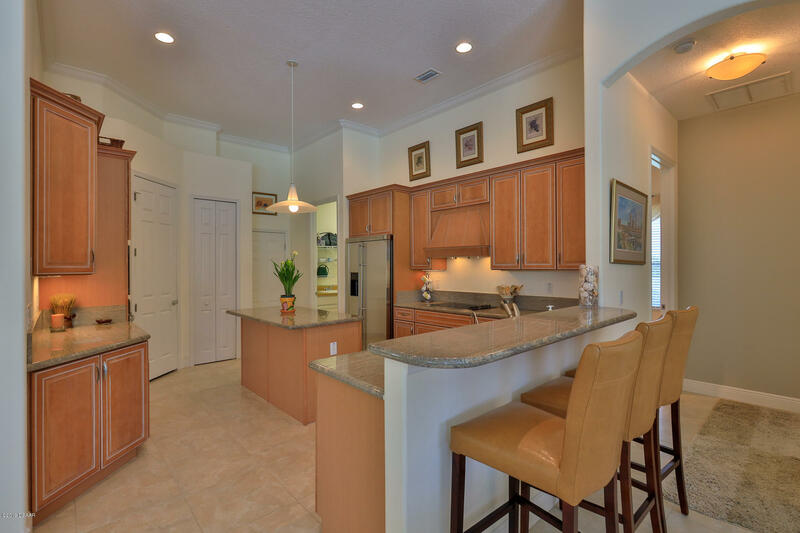 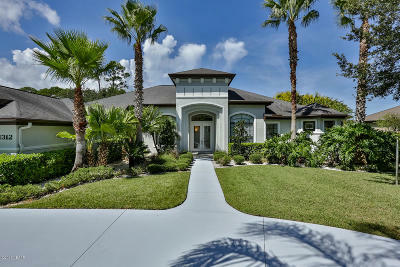 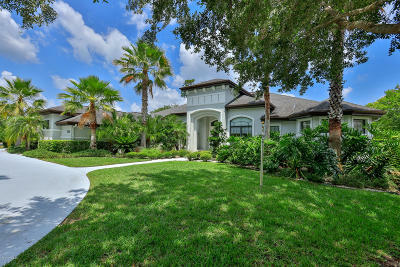 1312 Dovercourt Lane Ormond Beach, FL. 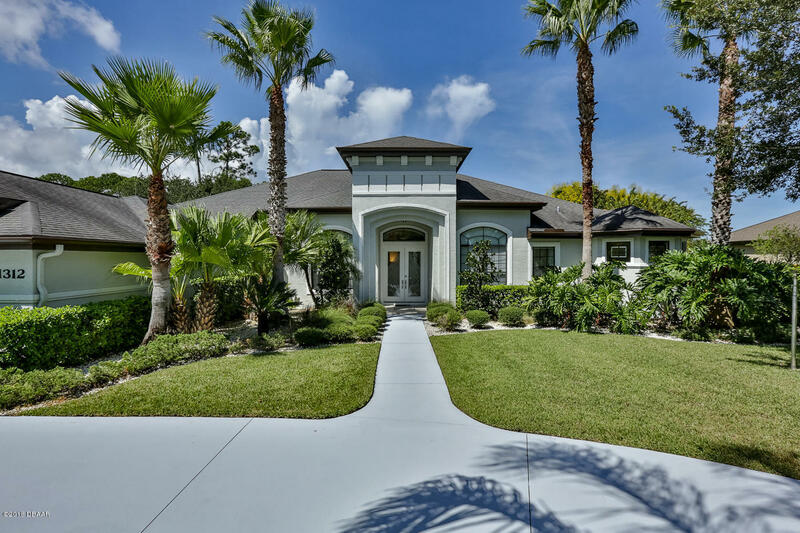 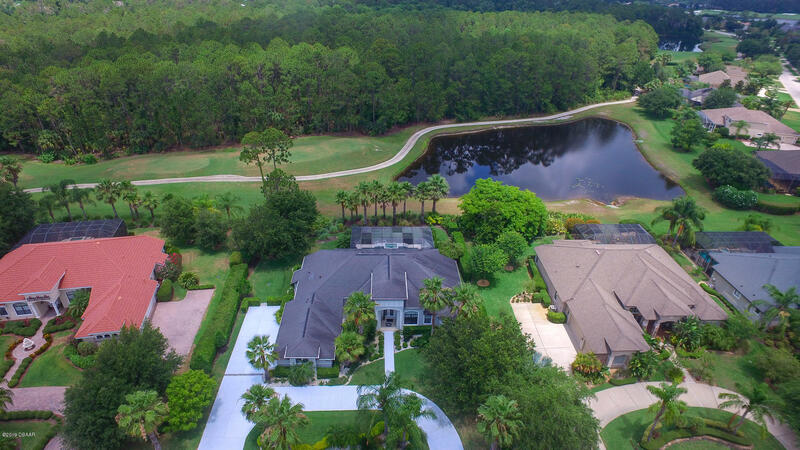 | MLS# 1048926 | Realty Evolution, Inc. specializing in listing & selling residential homes, condos, townhouses, residential lots and land in Ormond Beach, Palm Coast, Flagler Beach, Plantation Bay, Halifax Plantation, Hammock Dunes, Daytona Beach, Port Orange, Florida. 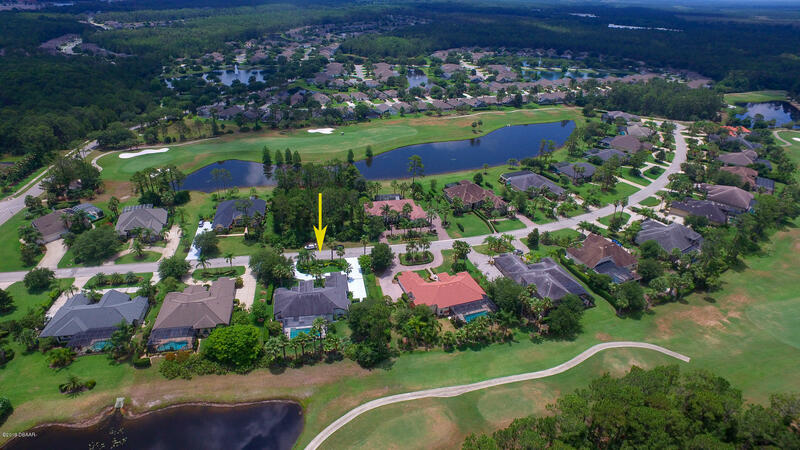 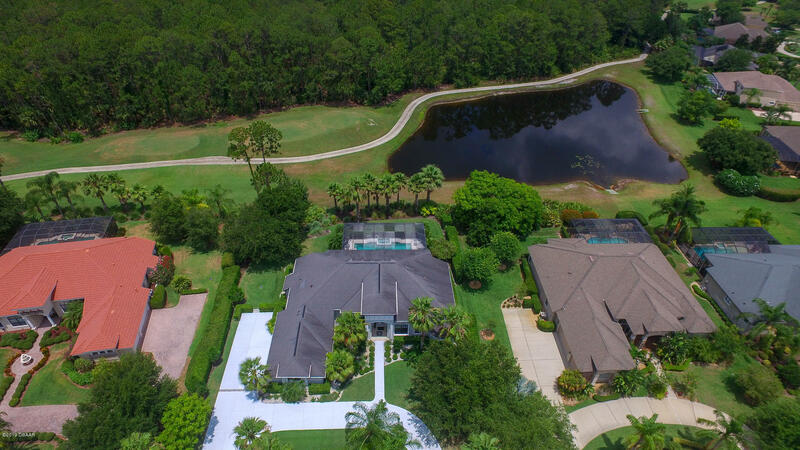 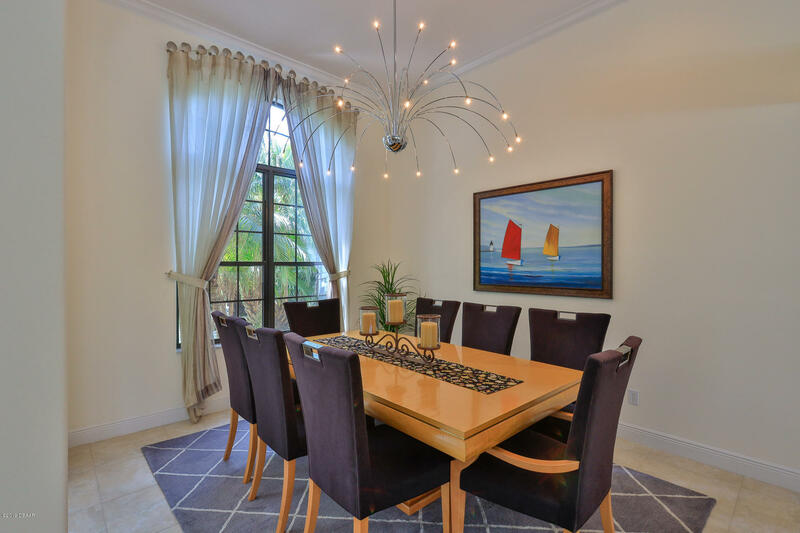 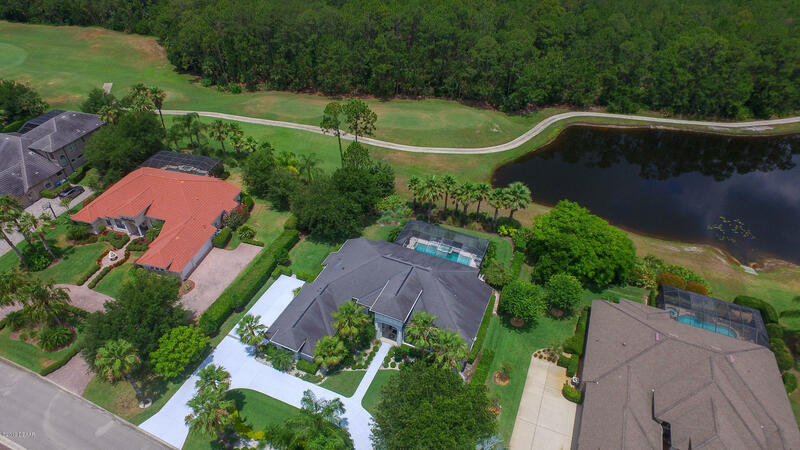 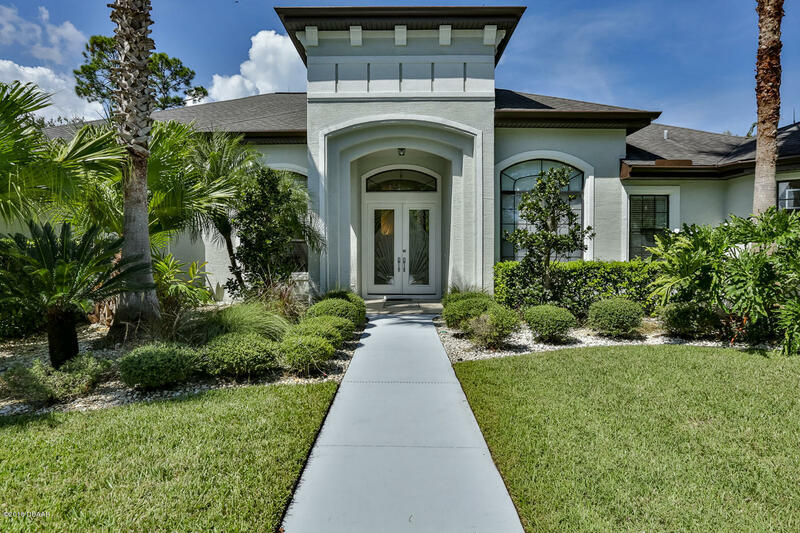 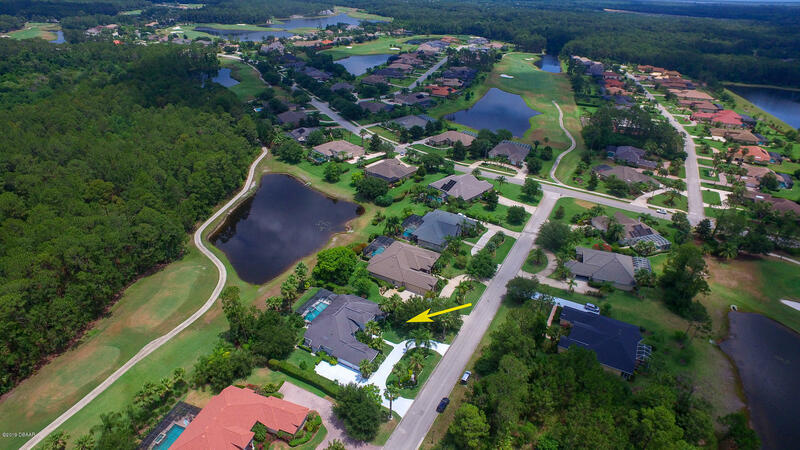 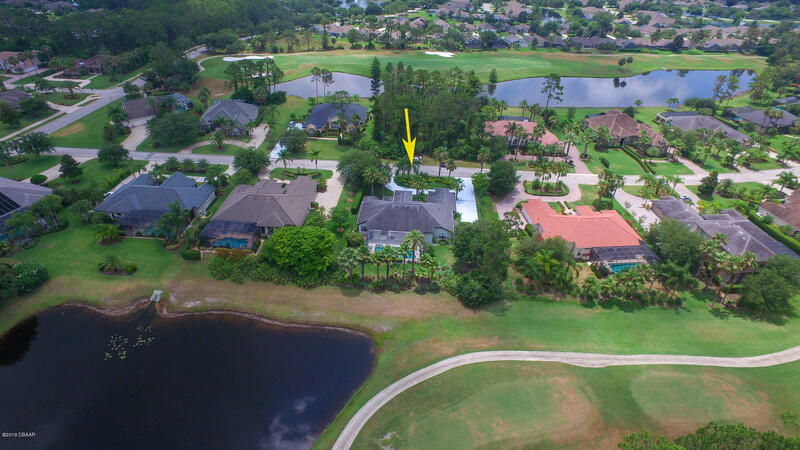 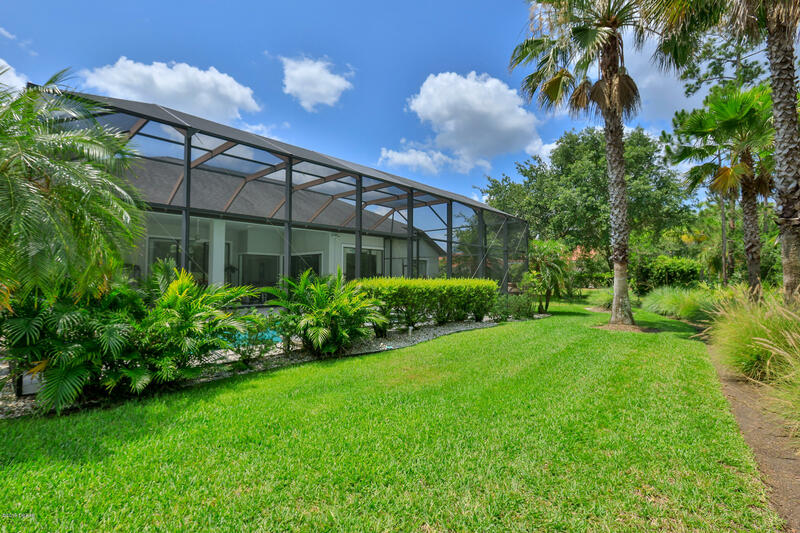 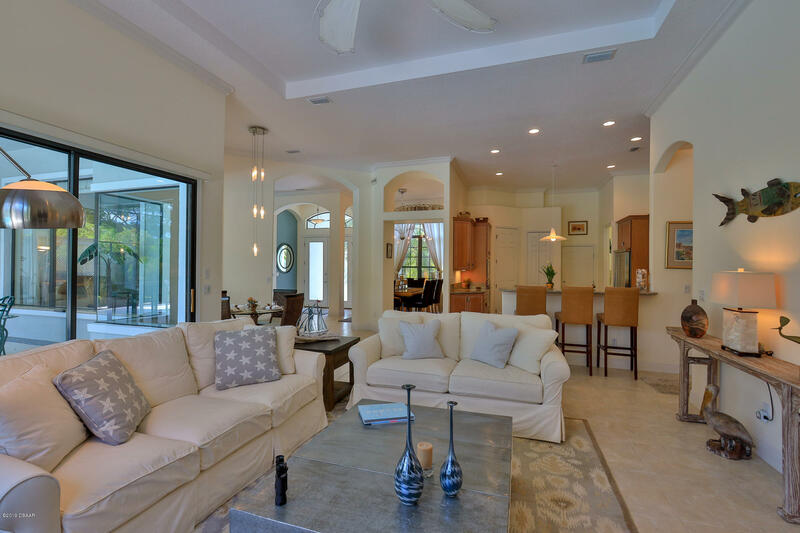 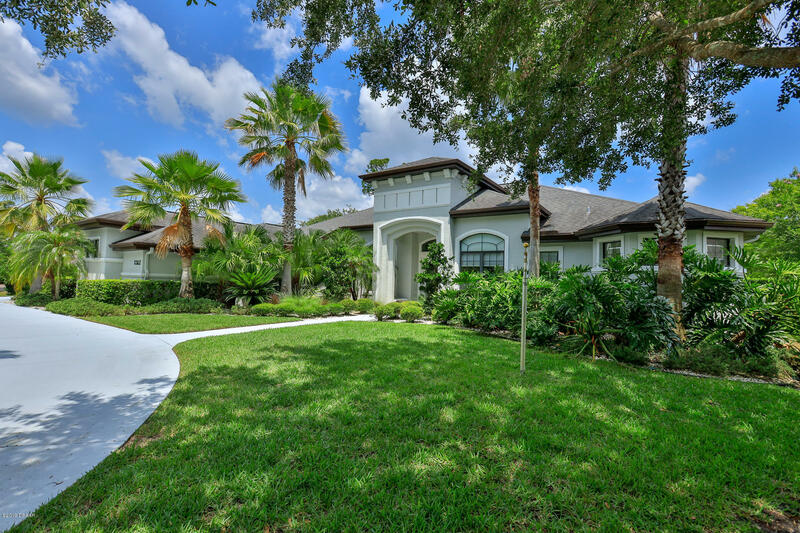 Custom 4 BR/3 full bath home on 1⁄2 acre with golf course & lake views is located on one of the most desirable streets in Plantation Bay. 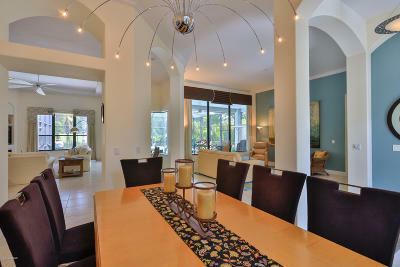 Home features open floor plan with LR, DR and Study/4th BR. 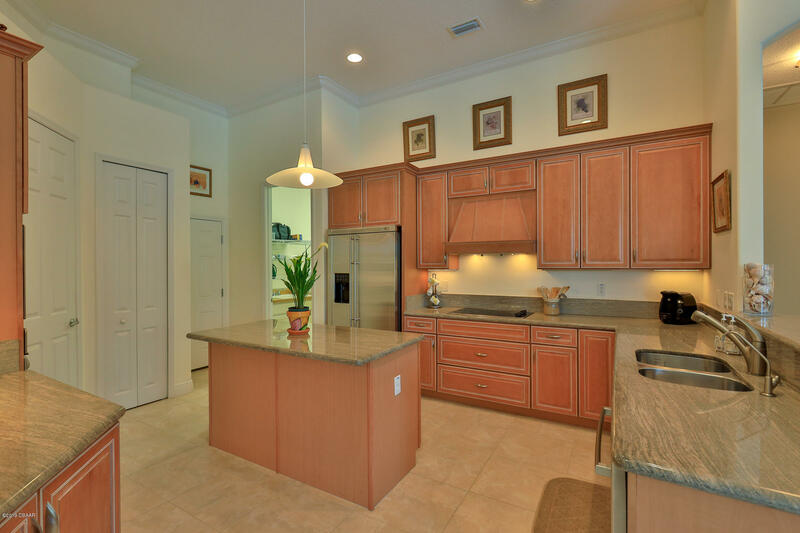 Large kitchen features granite counters, 42'' maple cabinets and pantry. 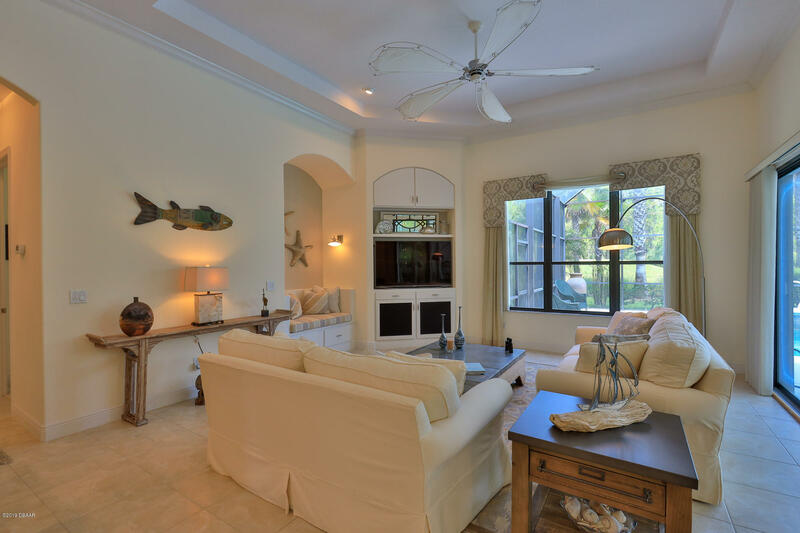 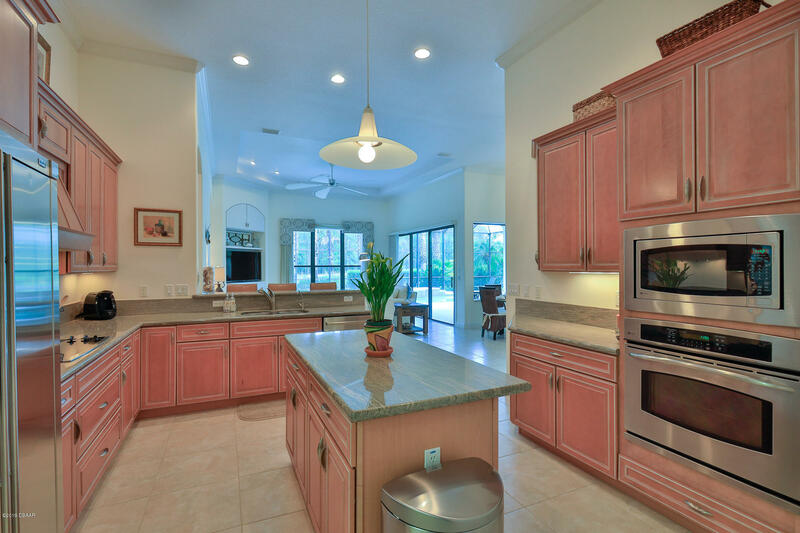 Kitchen opens to large family room with custom built-in seating and triple sliders to screened lanai and heated pool/spa. 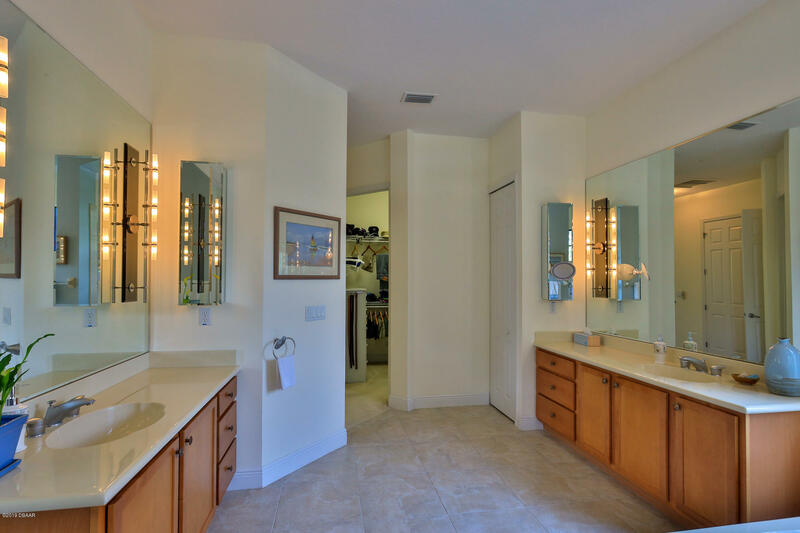 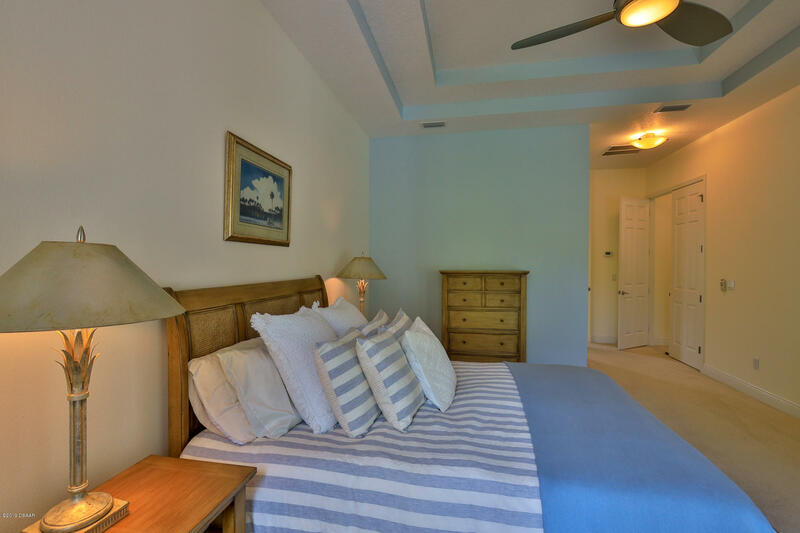 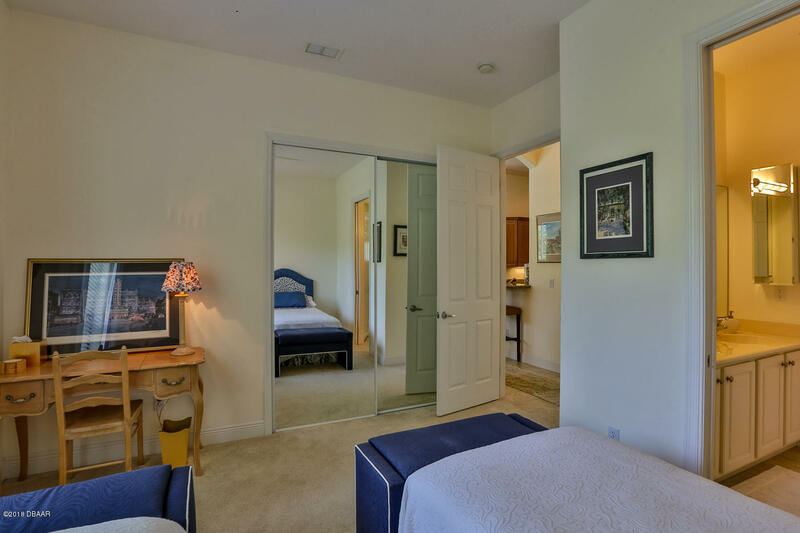 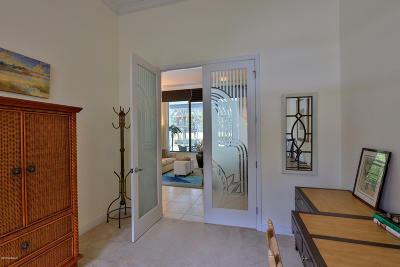 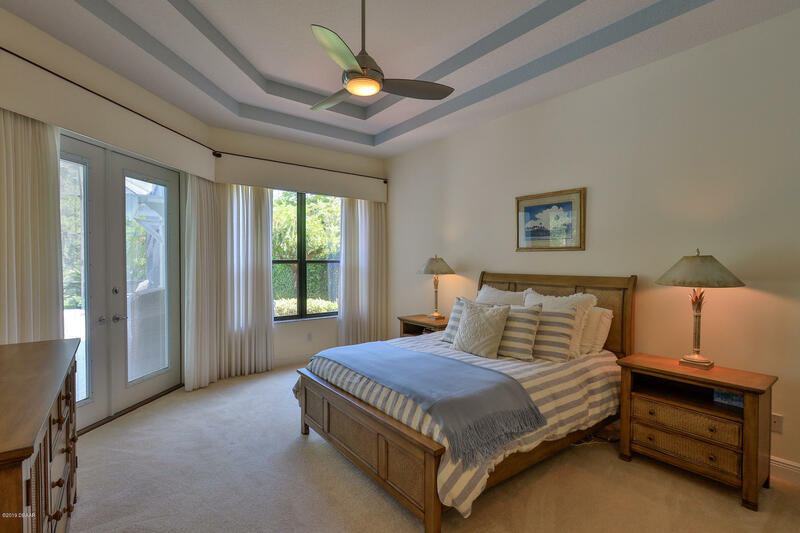 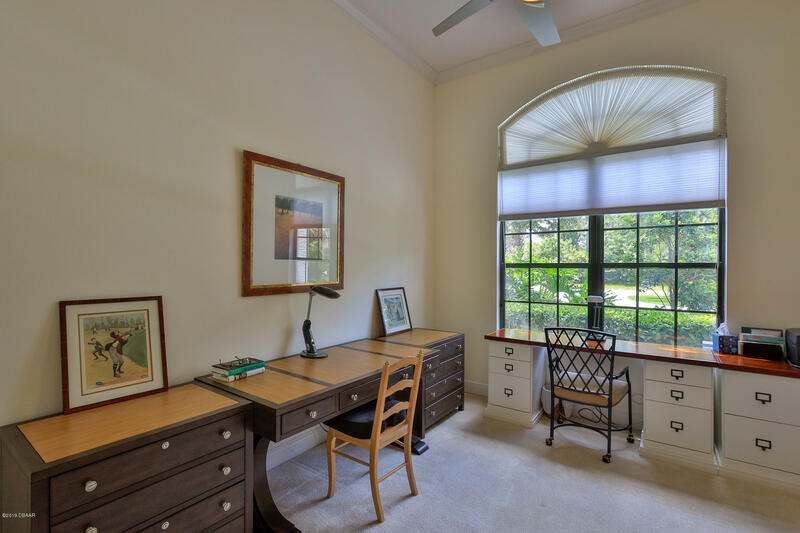 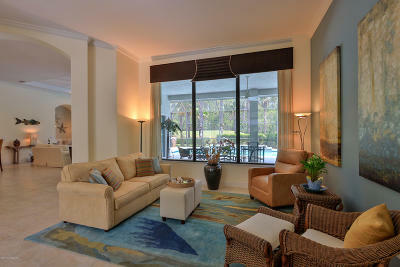 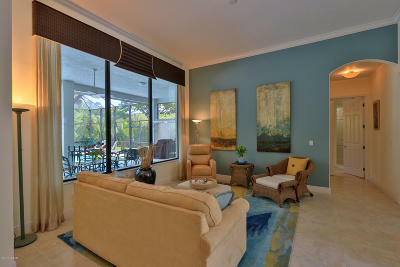 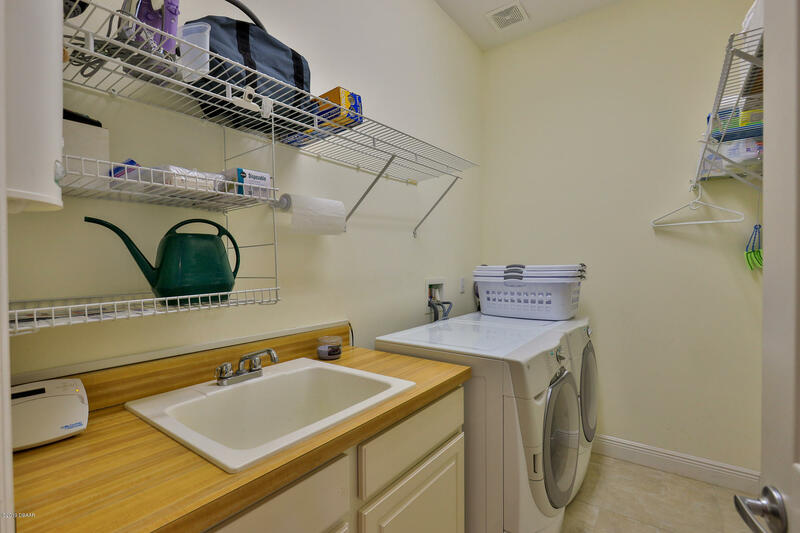 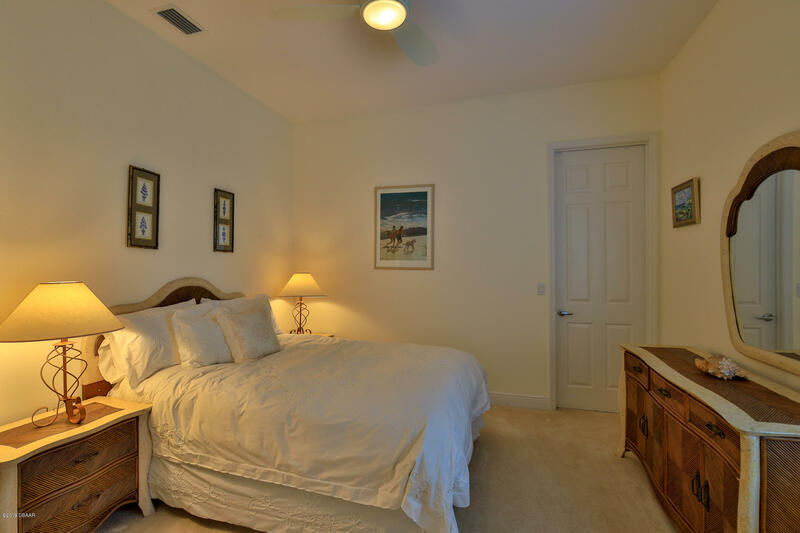 Large MBR with 2 walk-in closets opens to lanai/pool. 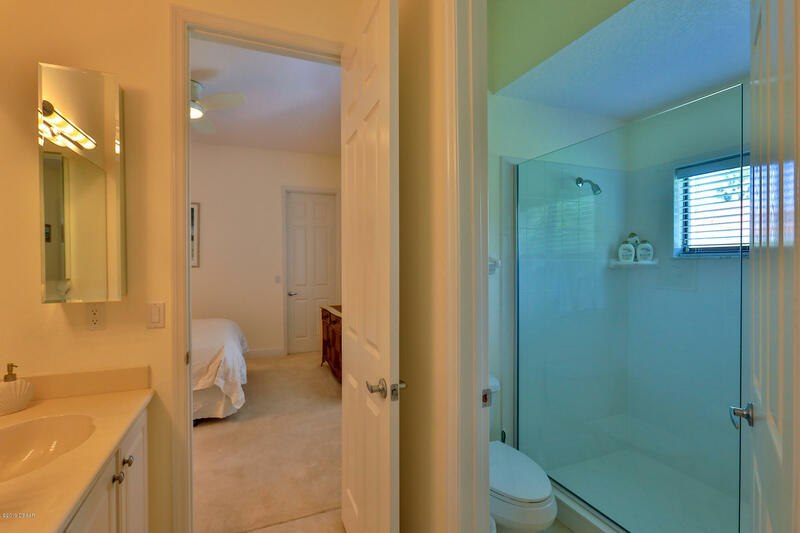 Elegant MBA with oversize shower and deluxe tub plus dual sinks/vanities. 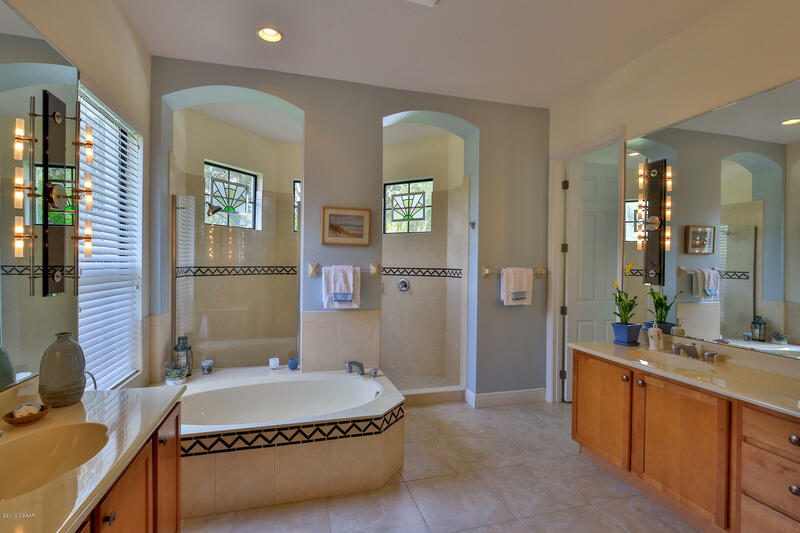 Two guest bedrooms with Jack'n'Jill bath. 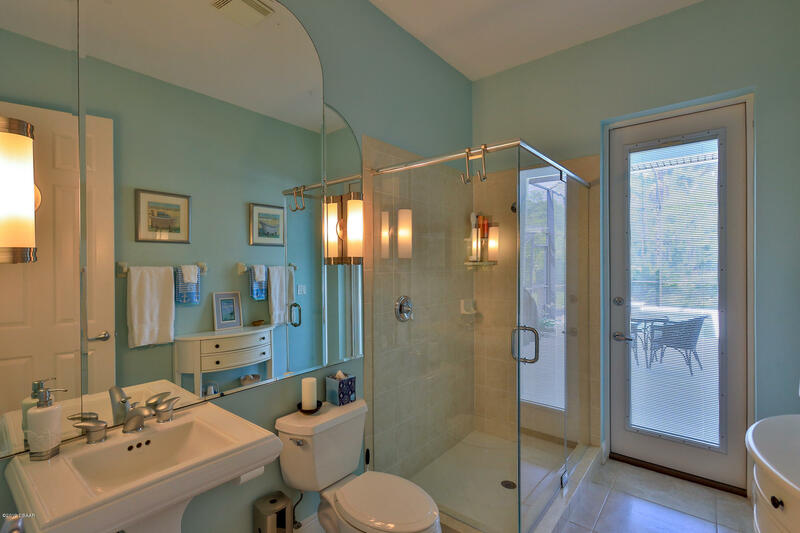 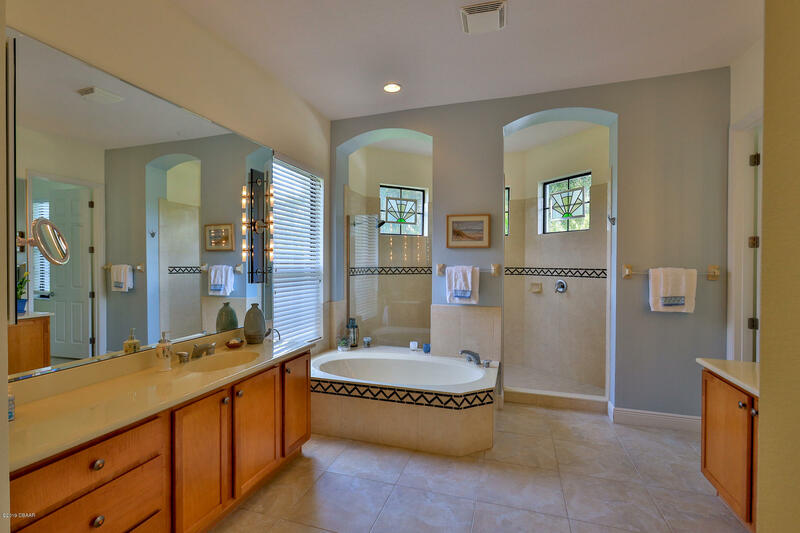 Guest bath opens to lanai and features full shower. 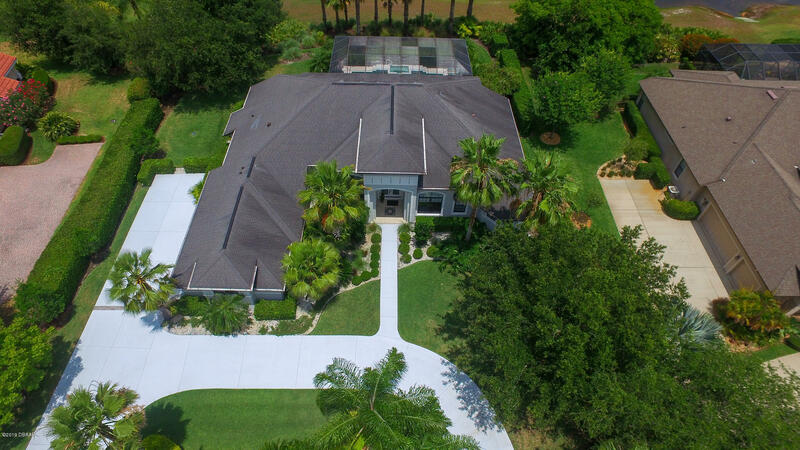 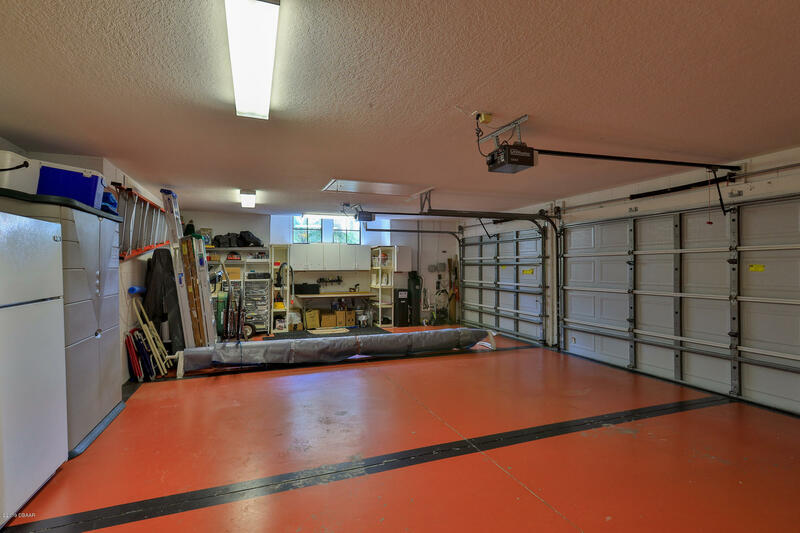 Side entry 3 car garage and circular driveway to grand entrance. 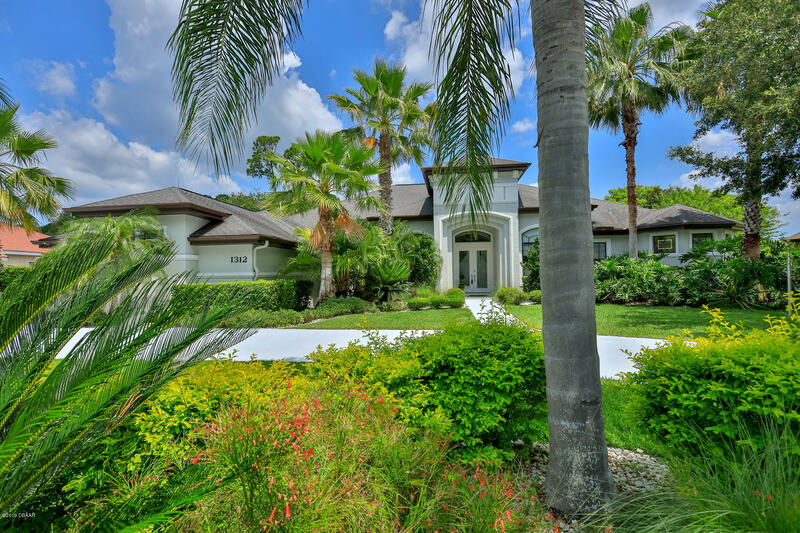 Whole house water treatment and security systems. 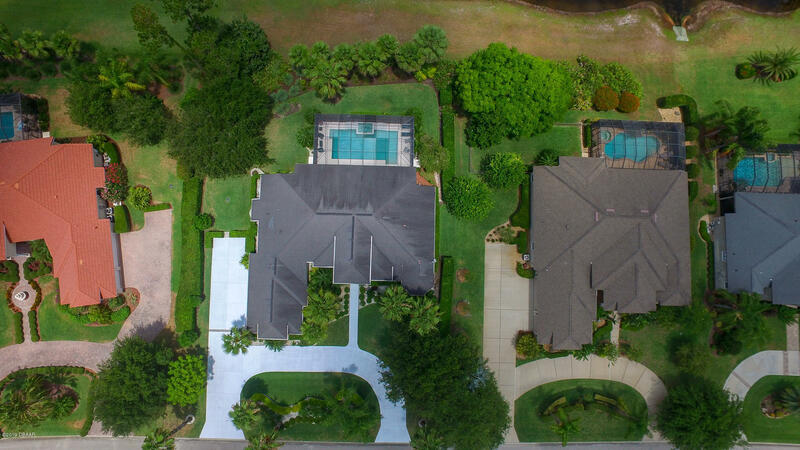 Upgrades 2018 new pool heater, new heat pump and ext painted. 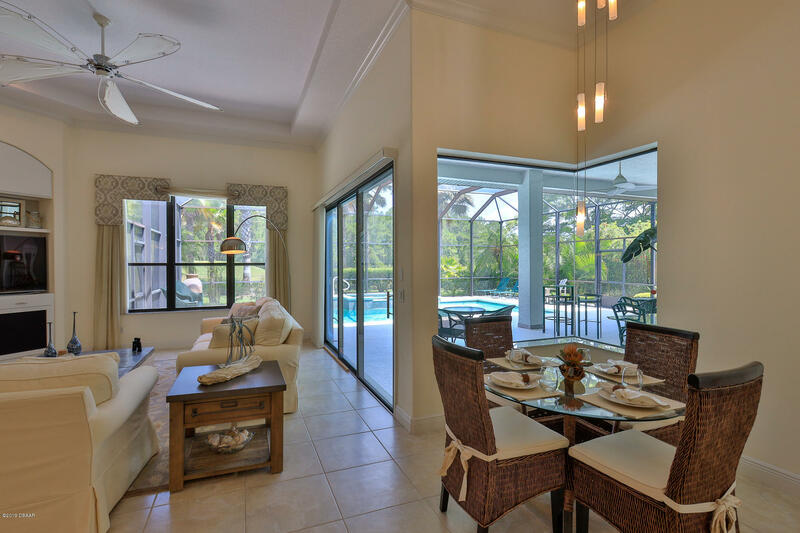 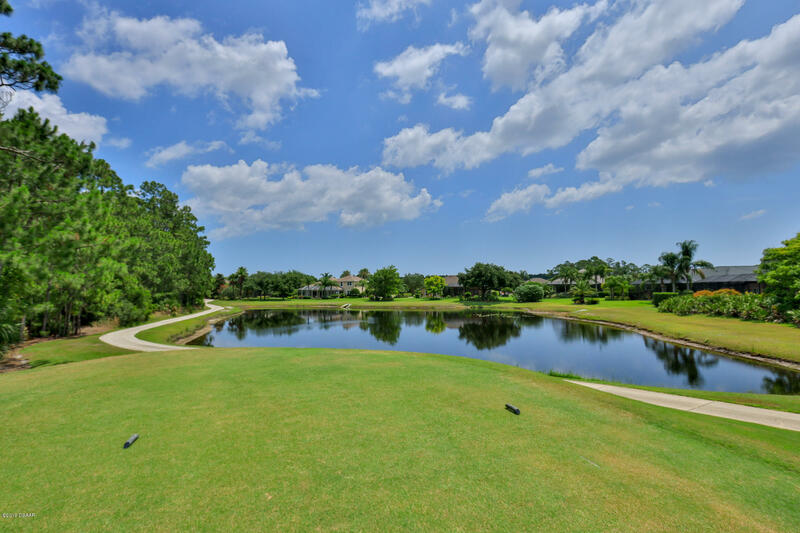 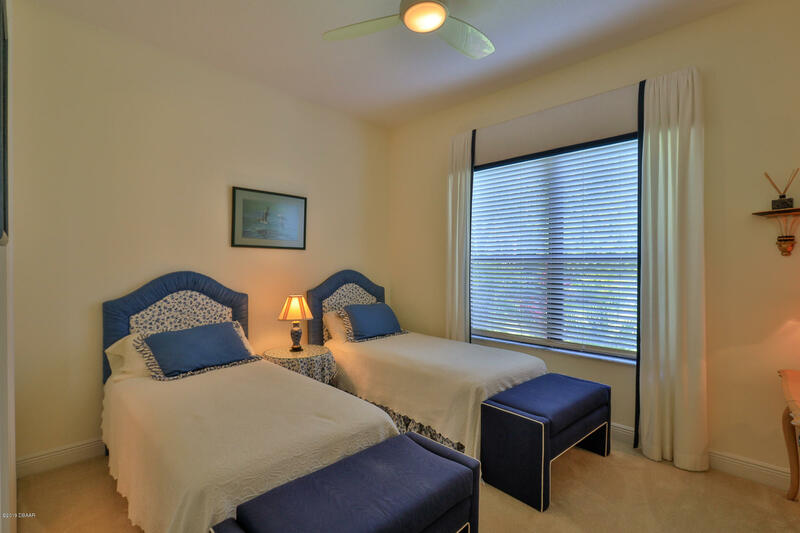 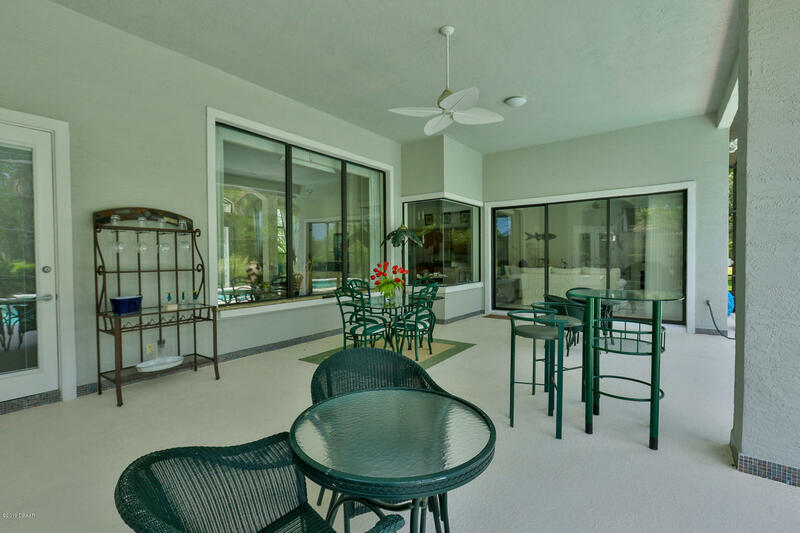 While membership is optional, Plantation Bay features 45 holes of championship golf, two club houses with restaurants, spa and fitness center with two pools, 10 lighted Har-Tru tennis courts, pickle ball, and ample room to enjoy the park like setting. 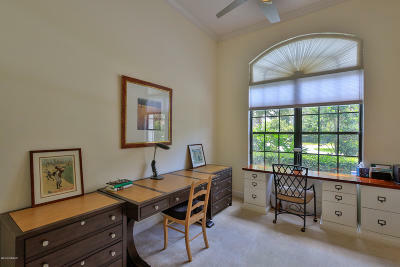 Club offers a number of membership options.